Different sights from different neighborhoods. Click an image to see a larger version. This is an 8-shot panorama that I took during the Steelers' 2014 home opener against Cleveland. 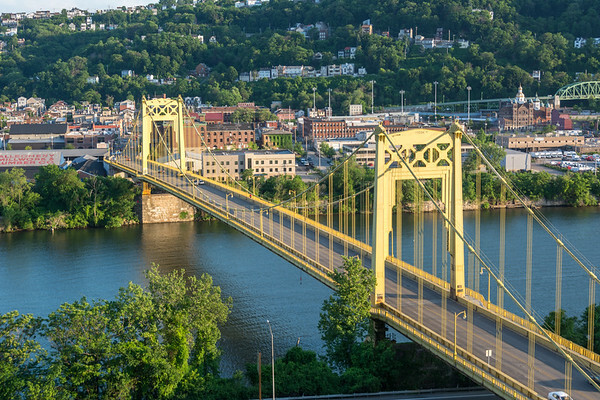 The colors of the city along the Monongahela are on display here, with Heinz Field to the far left, and the Birmingham bridge to the far right. 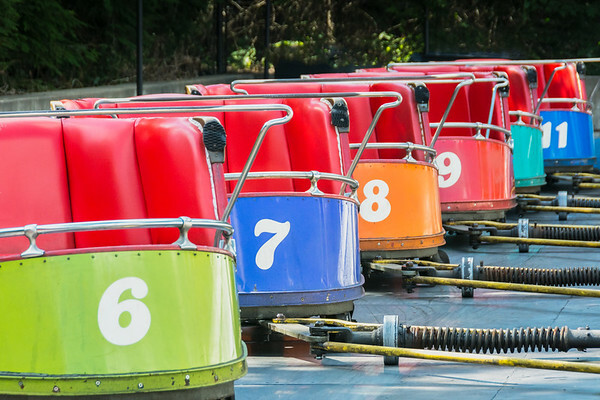 A favorite ride at Kennywood. 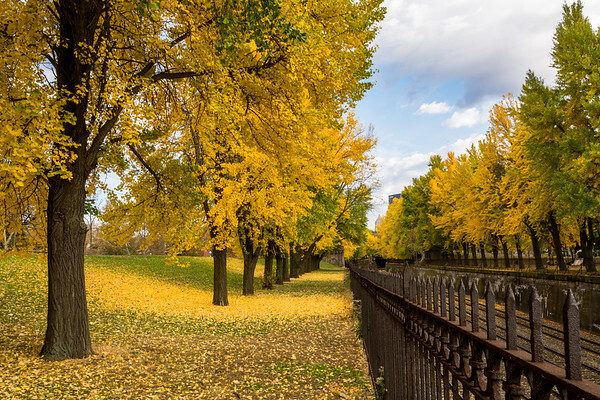 Fall colors ablaze, as seen in Pittsburgh's North Side. 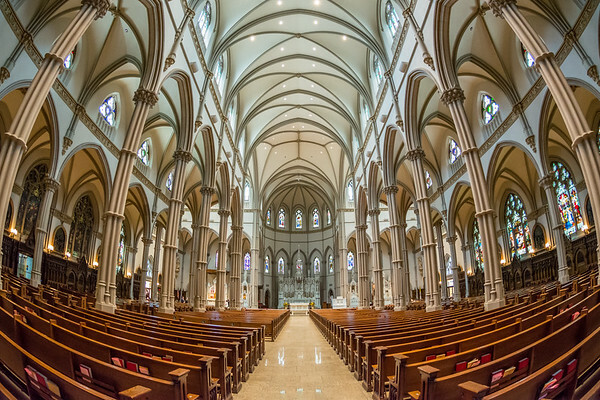 Built in 1906 in the Decorated Gothic style of the 14th century, St. Paul's Cathedral is located in the heart of Oakland, close to the University of Pittsburgh, and Carnegie Mellon University. 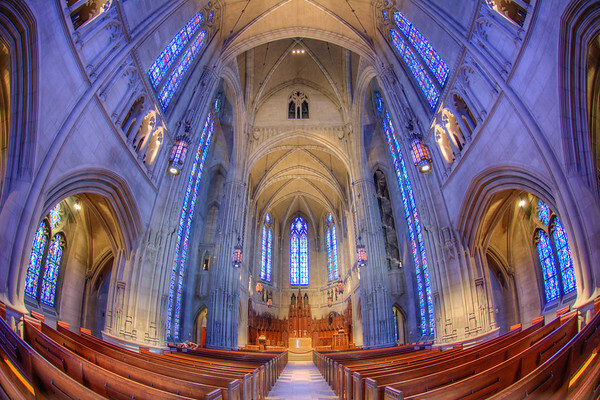 My beloved 10.5mm fisheye lens captures the symmetry of this beautiful place of worship. This is the main room inside the old Union Station, on Liberty Avenue in Pittsburgh. Designed by architect Daniel Burnham, and now considered to be one of the best examples of Beaux-Arts architecture in the USA, the station was converted to offices and residences in the 1980s, and is now called The Pennsylvanian. This incredible space, now closed to the public, once served as the main waiting area for railway passengers. The 3-story arches curve to meet the enormous skylight, which fills the room with natural light. The doors under the arches once led to restrooms, ticket and baggage offices, and a restaurant. 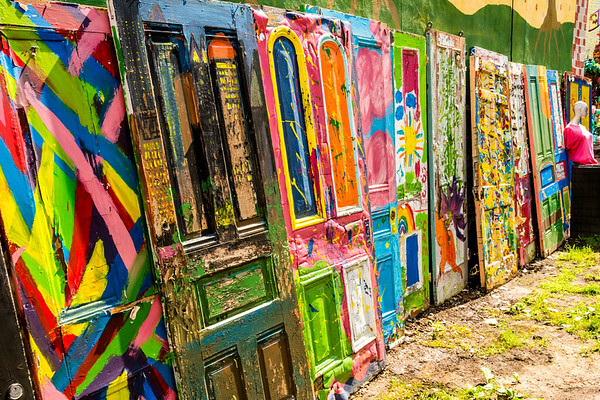 The doors at the far end of the room opened to the train councourses that once sat behinid the building. This is one of the most beautiful spaces in all of Pittsburgh. 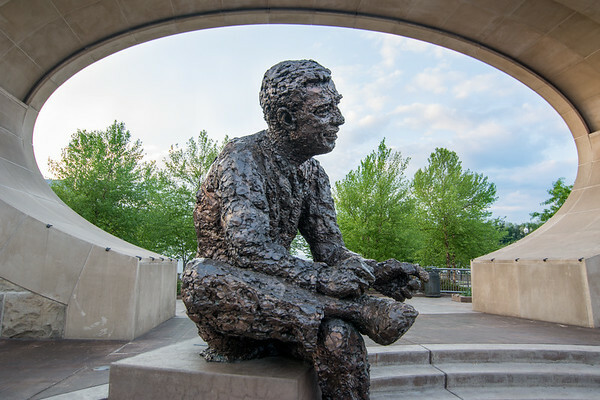 The sculpture of Fred Rogers overlooks the Allegheny River, on Pittsburgh's North Shore. 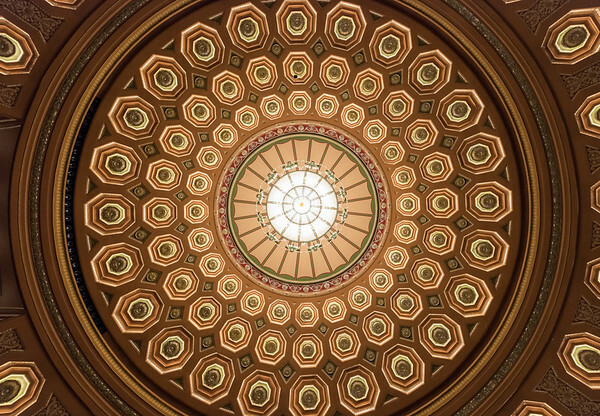 This is the dome inside the auditorium of the Benedum Center, in Pittsburgh. The chandelier at the center of the image looks quite small from this perspective, but it is 20 feet high, 12 feet wide, and weights 4,700 pounds. 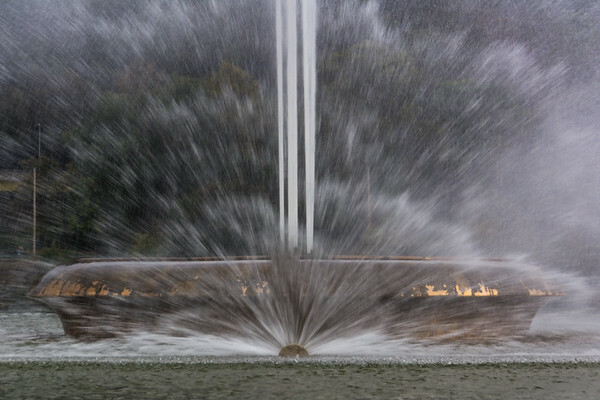 The fountain at Point State Park, as seen on a chilly autumn morning. The deep greens and grays convey a bit of the mood of a cloudy dawn breaking over the city. 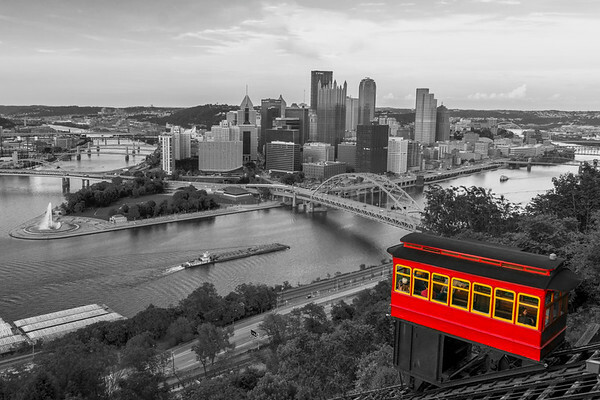 A selective color view of the Duquesne Incline, as it descends Mount Washington, in Pittsburgh. As seen on Carson Street, South Side, Pittsburgh. 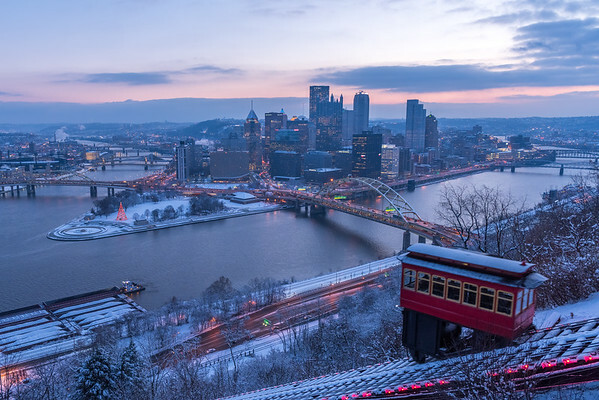 A post-snowfall view of Pittsburgh, as seen from the Duquesne Incline overlook, just past sunrise. 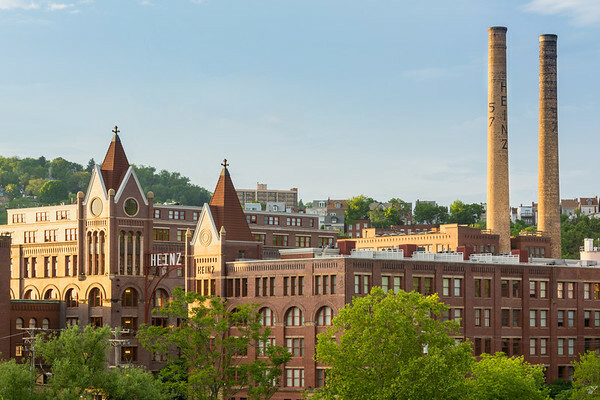 Redeveloped as the Heinz Lofts, the historic Heinz plant sits on the banks of the Allegheny River, on Pittsburgh's North Side. A view from inside the Cloud Arbor, a sculpture by Ned Kahn in Buhl Community Park, in Pittsburgh's North Side. 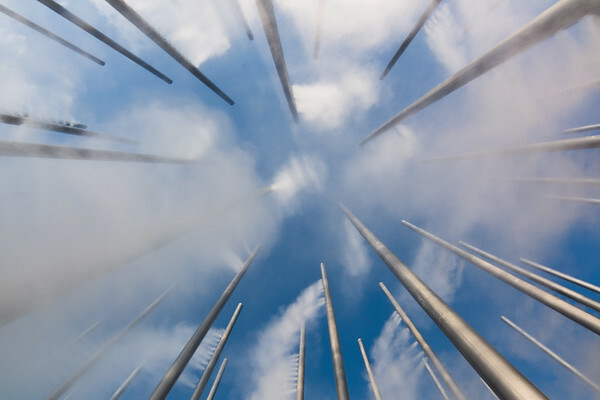 The 30-foot steel poles emit clouds of mist every few minutes. The beautiful Heinz Chapel, on the Pitt campus. This is one of the oldest churches in Pittsburgh. 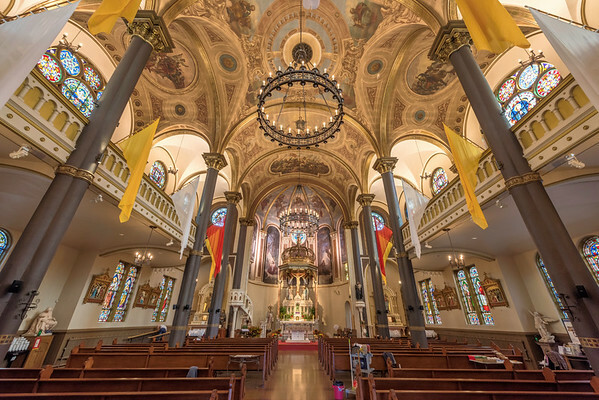 Built in 1891 to serve the growing Polish community in the Strip District, it remains an active church, and mass is held daily for those who live and work in the area. 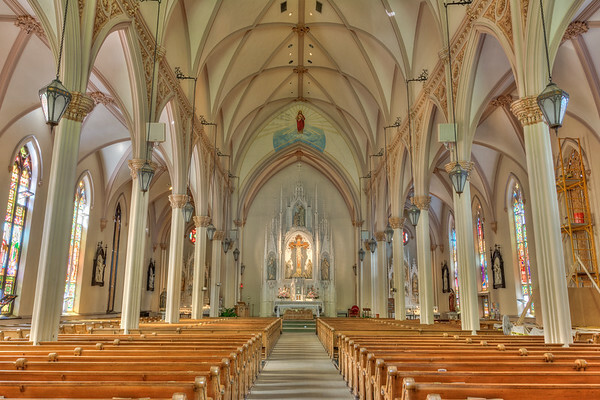 It is one of the most beautiful churches in the city. 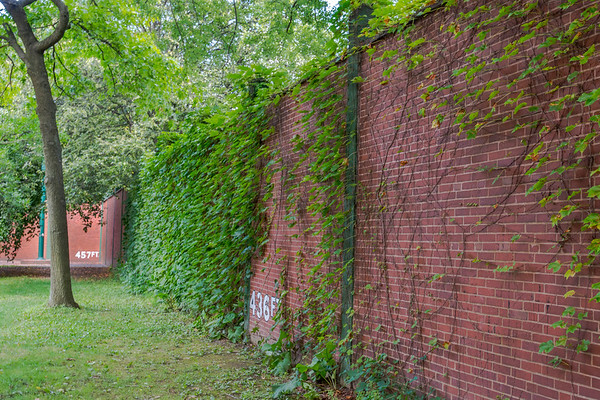 The original center and left-center field wall still stand in their original location, on Roberto Clemente Drive, on the campus of the University Of Pittsburgh. A portion of the left field wall, over which Bill Mazeroski hit his famous home run to win the 1960 World Series, was preserved after the stadium was demolished in 1972, and it now stands outside PNC Park.. Directly behind this wall is a little league field, named after Mazeroski. Embedded in the floor in Posvar Hall across the street is the home plate used in the last game played at Forbes Field, against the Chicago Cubs, on June 28, 1970. 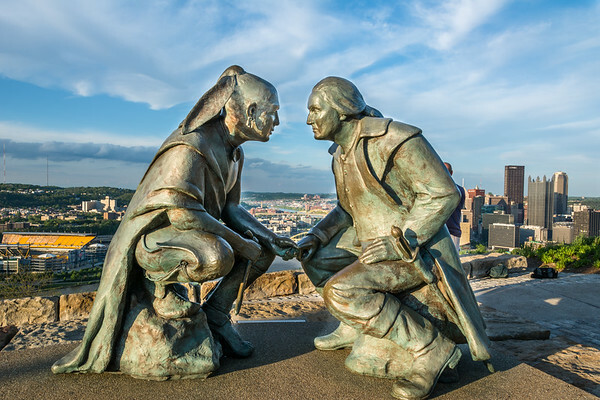 This bronze sculpture of George Washington and the Seneca leader Guyasuta sits in a small park, atop Mount Washington. The artist was James A. West. 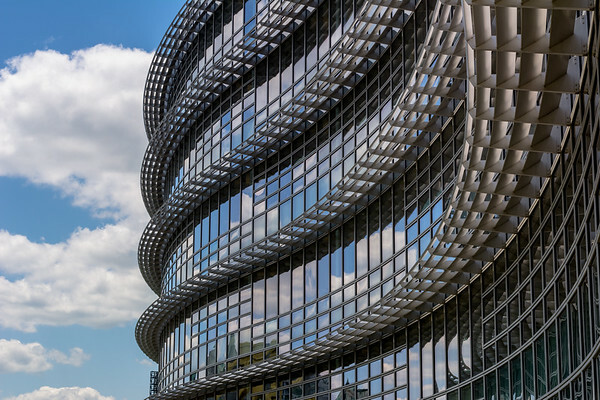 The Alcoa building, reflecting a beautiful Saturday afternoon, on the North Side, Pittsburgh, PA. Is that dragon skin? 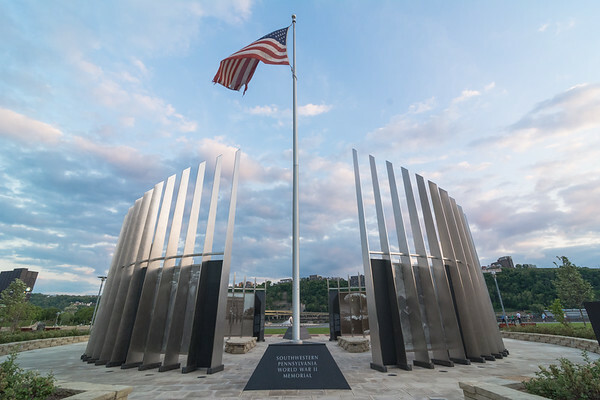 This beautiful memorial to those who served in WWII stands on the North Shore, between PNC Park and Heinz Field. 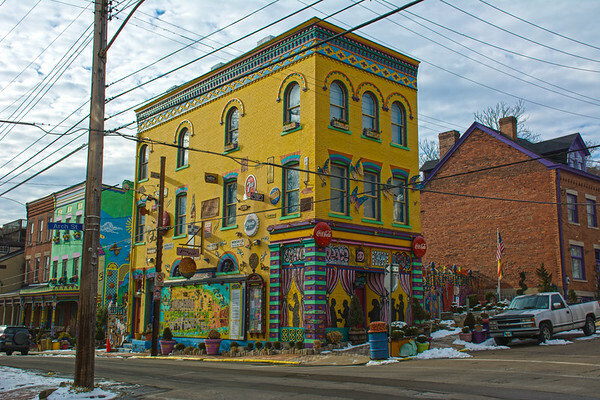 As seen at Randyland, in the Mexican War Streets of Pittsburgh's North Side. 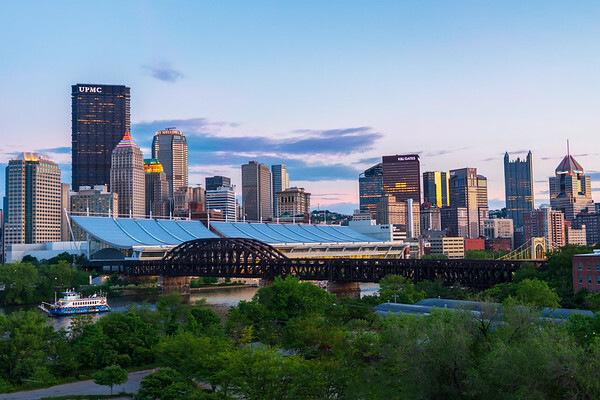 A sunset view of Pittsburgh, including the full span of the railroad bridge that carries coal trains through Pittsburgh every day. I captured this image from the window of my car! 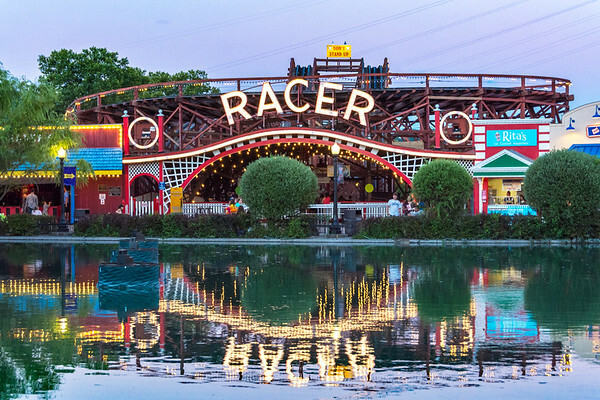 The front of the Racer, the wooden roller coaster built in 1927. It's still a thrill! 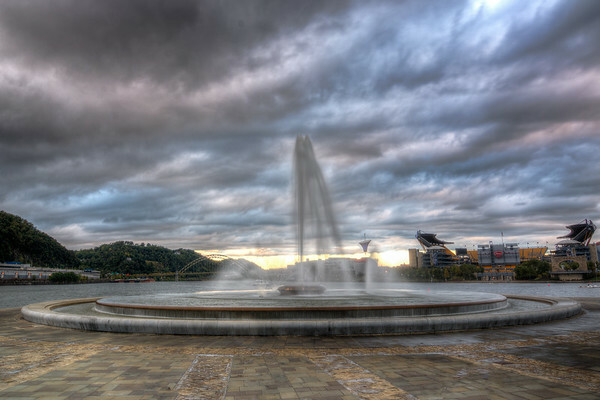 The fountain at Point State Park, as seen just after sunrise, looking west. This is a 3 shot HDR photograph. 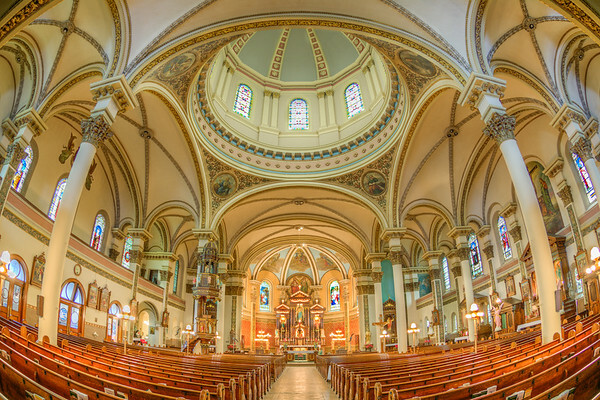 This is a fisheye view of the intricate interior of this beautiful church, completed in 1905. 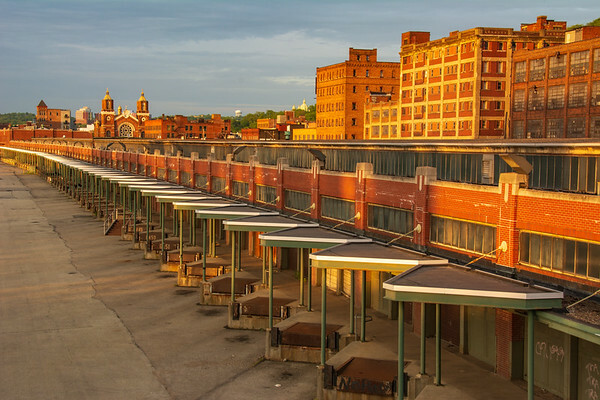 Built by Polish railway workers in their leisure time, it continues to serve the Polish Hill community today. This beautiful church was built in 1888, after the original church was destroyed in a fire. 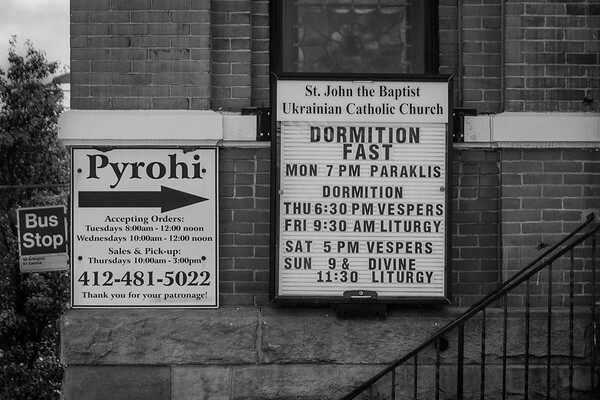 Originally located in what was then called Allegheny City, this church is still an active part of the North Side community where it continues to serve the neighborhood. 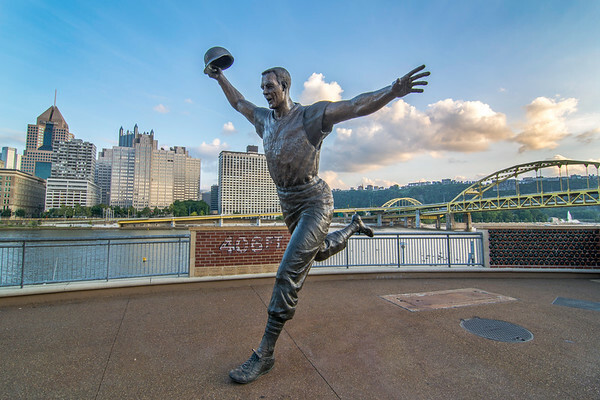 The statue of Pittsburgh Pirates great Bill Mazeroski, depicted as he appeared when he crossed home plate after his walk-off home run ended the 1960 World Series. A section of the left field wall from Forbes Field (over which he hit the home run) has been preserved, including the distance marker. Both the statue and the wall can be found outside the right field gate of PNC Park. This is the 64-foot tall dome inside the old Allegheny City Post Office, in Pittsburgh's North Side. Built in 1897, it served downtown Allegheny City until the 1960s, when misguided urban redevelopment destroyed most of the neighborhood. It was declared a National Landmark in 1971, and has been the home of the Pittsburgh Children's Museum since 1983. 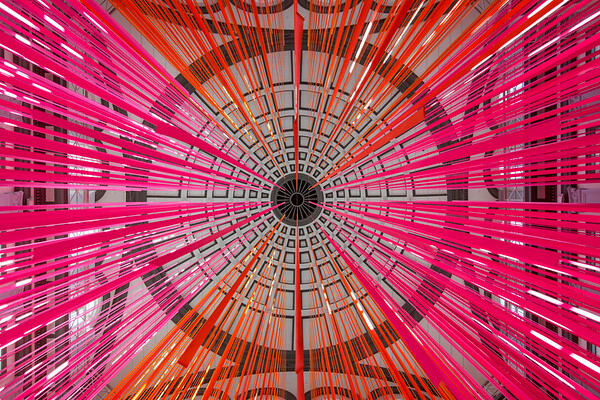 Today, these brightly colored ribbons hang from the dome, and the space is usually filled with children at play. A late afternoon view of the South 10th Street Bridge, which connects the South Side neighborhood with Second Avenue, in Pittsburgh. As seen in the Mexican War Streets of Pittsburgh's North Side.